It’s often been said that a college degree is the modern equivalent of a high school diploma, largely because it’s the minimum credential required for today’s youngest workers to get a foothold in the job market. If that’s true, then a graduate-level degree is surely the best way for many people to boost their marketability and open up even more employment possibilities via higher education. Many business students and professionals have long known this, and it’s why the Master’s in Business Administration is both one of the most popular and one of the fastest-growing programs for those looking to deepen their understanding of the business community beyond an undergraduate level. Though popular, these degrees come with their own considerations in terms of content, value, affordability, and necessity, for each individual student. The cost of higher education has soared in recent years, increasing at a rate faster than that of inflation overall. That means many graduates are skeptical about their ability to afford a graduate-level program not only before it starts, but also after the program has concluded and their student loan balances become due. The best way to ensure that both the initial and ongoing costs of an MBA program are viable is to make sure that any program pursued represents a positive value proposition. This means looking into the actual cost, the potential return on that cost, and the overall prestige and rigor of the program being undertaken by the student. Before committing to any MBA program, consider evaluating its cost through three main components that will make value apparent. The first thing to consider is the actual cost of the program in terms of annual tuition. Most MBA programs charge tuition to their students on a per-credit basis, and many full-time students take about 9 credits per semester in order to obtain their degree in between two and three years. The best way to assess the overall cost, and potential value, of any MBA program is to first look at the cost of full-time attendance. Students considering part-time attendance should also evaluate those costs. Remember that this will require researching the per-credit tuition rate and multiplying that cost by the number of credits undertaken each semester. It will also require the addition of fees and surcharges enforced by the university. Another top consideration to be made when evaluating the overall value of an MBA program is the actual return on investment that will be enjoyed once the degree is in hand. Students shouldn’t pursue an MBA just so they can claim the title and boost their resume. Instead, they should commit themselves to an MBA only if they feel that the degree is likely to boost their salary, increase their chances of a promotion at an existing position, or allow them a great deal more flexibility and mobility in terms of finding a new employer that offers a better compensation package. Overall, students who are looking to get the best value money can buy should be able to ensure that the short-term costs of the program’s tuition will be exceeded by the long-term boost in marketability and annual compensation. If that conclusion cannot be reached prior to starting the program, it might be worth reconsidering whether or not an MBA is the appropriate career and educational move at a given time. Plenty of schools offer a Master’s in Business Administration, but not all of those schools offer a program with top-notch instruction, quality, and overall prestige. In fact, many schools’ MBAs are decidedly middle-of-the-road and won’t help graduates’ interests in the long-term. Before deciding on a program and allocating either personal or student loan funds to the cost of tuition, be sure to research the school’s rankings. This may mean looking at general graduate school rankings, specific MBA rankings, and more. Unlike undergraduate programs, the most authoritative sources of information regarding MBA programs are generally industry publications. The Financial Times, Forbes, the Wall Street Journal, and scores of other business-related publications are generally considered the most reliable sources of information about how a program ranks and what the industry as a whole thinks of graduates who have received their MBA from a specific school. This might be the highest-value option for students who wish to both work and study full-time. For existing business professionals, there is no more flexible way to earn an MBA without sacrificing time at work or other, more personal commitments. An online MBA mixes online instruction and collaboration with offline reading and research, giving motivated students a way to self-teach and acquire their degree in less time. This may boost affordability as well. Students have the choice to pursue their MBA either full-time or part-time. The advantage of part-time degree programs is that they allow students to pursue a full-time position within the business community without interrupting their daily roles and responsibilities. Because students are able to maintain a full-time work schedule, they’re more likely able to afford the full cost of their tuition without resorting to high-interest loans or long-term obligations. Of course, this also means that an MBA will be drawn out of the course of three or even four years, rather than the customary two-year timeframe for full-time graduates in either online or offline programs. Executive programs are perfect for those who are already in managerial roles and have their sights set on advancement to executive-level corporate leadership. Their biggest return on investment generally can be found among seasoned business professionals who have a real shot at advancing once they acquire the skills needed for corporate stewardship. For those who work within an international conglomerate, or business professionals who do an excessive amount of traveling to foreign markets over the course of a typical year, an international MBA can deliver real value almost immediately. The degree’s focus on foreign markets, regulations, and business practices will give business professionals the added skills they need to deal with foreign investors, executives, and customers with ease. These skills may be the deciding factor for corporate promotions and greater responsibilities for many graduates. While many people associate MBAs with managerial skills, plenty of programs exist to sharpen the skills of those in finance and marketing. These two MBAs depart from the management-related focus of the traditional, executive, and international MBA programs offered to students. Instead, they focus on innovations, ethics, and best practices for those who currently work in a marketing-related or financial role within an organization. Furthermore, they prime skilled marketers and financial experts for leadership within their department. This can be an excellent way to achieve greater knowledge of the field and to become a prime candidate for long-term promotions within the organization. The value of this degree is in enhancing very specific skill sets that students already learned at the undergraduate level. As mentioned earlier, tuition costs over the past several decades have gone nowhere but up. Faced with declining state subsidies, many public universities have been forced to pass on the added costs of operation to their students in the form of dramatic tuition increases. Private universities, in an effort to keep up with public competition and offer students an increasingly large list of luxurious amenities, have also raised their tuition prices to compensate for added annual expenditures. This means that, more than ever, MBA students are turning to employer programs, federal financial aid, and scholarship programs, to help them offset the increasingly high cost of a higher education. When it comes to handling the true cost of an MBA, from tuition and textbook prices to changing responsibilities in the workplace, there are a few great resources for today’s aspiring graduate students. One of the biggest benefits of working full-time in a related occupation while pursuing an MBA is the ability to have that employer reimburse at least a portion of tuition expenses. Many employers offer to cover anywhere from 25 percent to 100 percent of a student’s educational expenses as long as the program is related to their position and as long as they remain committed to the company after they’ve finished the program. Though graduate students aren’t eligible for Pell Grants or most state-based grant programs, they remain eligible for federal Stafford Loan funds. To help offset the higher cost of graduate-level coursework compared to undergraduate degree programs, students are permitted to borrow more than $20,000 each academic year to cover their tuition, textbook, and related expenses. Though government-based grants are hard to come by for any graduate student, plenty of private programs exist for those pursuing a master’s degree in a business-related field. Websites like Fastweb and Cappex help students locate scholarships for their chosen degree program, while individual business schools often automatically consider students for merit-based grants or elective grant programs as long as they submit their FAFSA form by the mandated filing deadline. 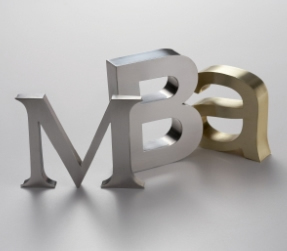 The decision to pursue an MBA is not one that students should take lightly. Before applying to a program and committing to a given school’s coursework, some additional reading will likely be necessary. Below, prospective MBA students will find quite a few links to excellent, topical resources concerning MBA rankings, value, and curriculum, across the country. The Financial Times is one of the most respected business-related publications, and the company’s ranking of business schools is a top indicator of value for prospective students. Before committing to a school, see what the FT has to say about its programs. U.S. News and World Report maintains quite a bit of clout at the graduate level, and its MBA rankings will make clear to students where their tuition dollars will experience the best long-term ROI. Forbes, another leading business publication, regularly ranks MBAs and business schools according to academic rigor, job placement, and value. The publication’s rankings are another key source for those researching a degree at this level. From online to international programs and beyond, this article goes in-depth as it explains how students can pick the right curriculum and business degree for their long-term career goals. Applying for an MBA successfully takes lots of hard work, testing, and personality. This article has everything applicants need to know in order to maximize their chances of acceptance. With these five resources, those considering an MBA in any content area will have the information they need to pick a great school, pursue the right degree, and ensure that the return on their investment remains strong over the long course of their careers. Remember to research carefully, plan early, and create both short-term and long-term goals when considering this particular degree.